Spaghetti Bolognese has been embraced the world over and it would be rare to find a household that didn’t eat this meal on a regular basis. Which means that most people have grown up eating some version or other of this sauce. 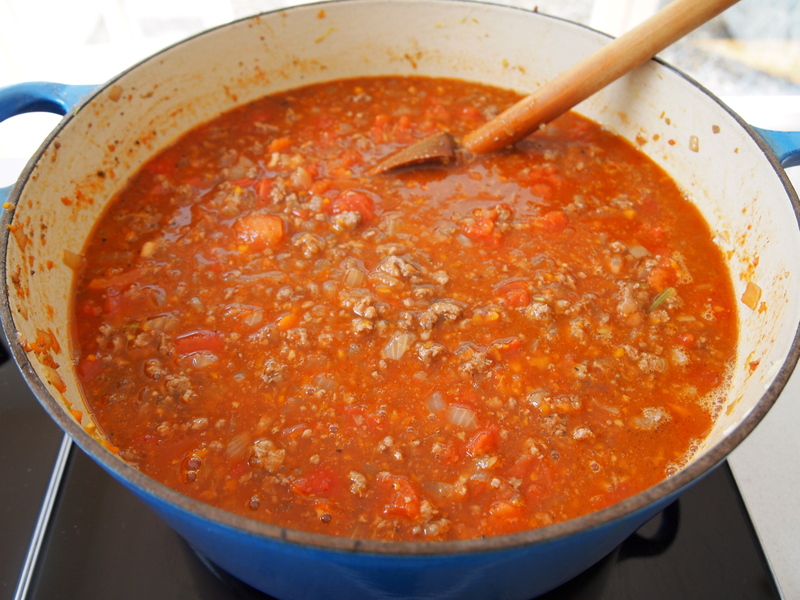 So it’s no surprise that everyone also has their own methods and tips for making bolognese. 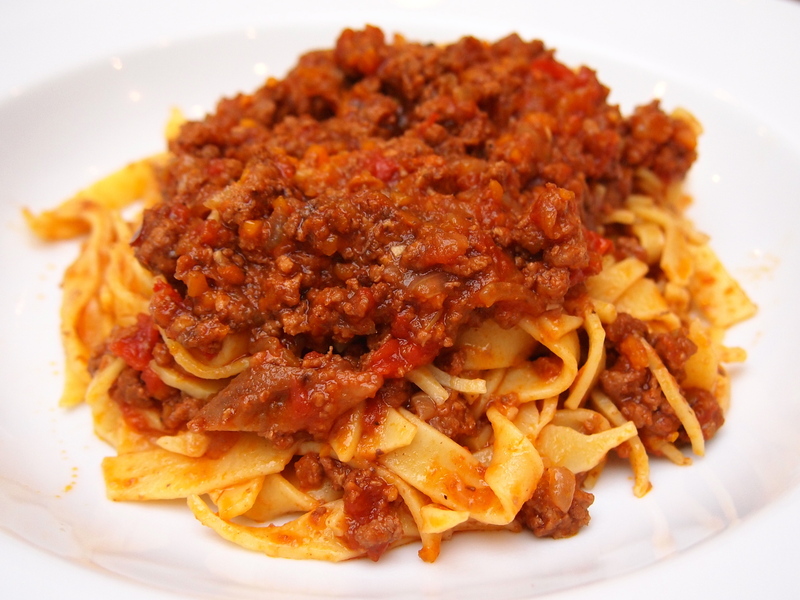 Normally everyones favourite spag bol (which is the term fondly used here in Australia for spaghetti bolognaise) is the one their mother made. 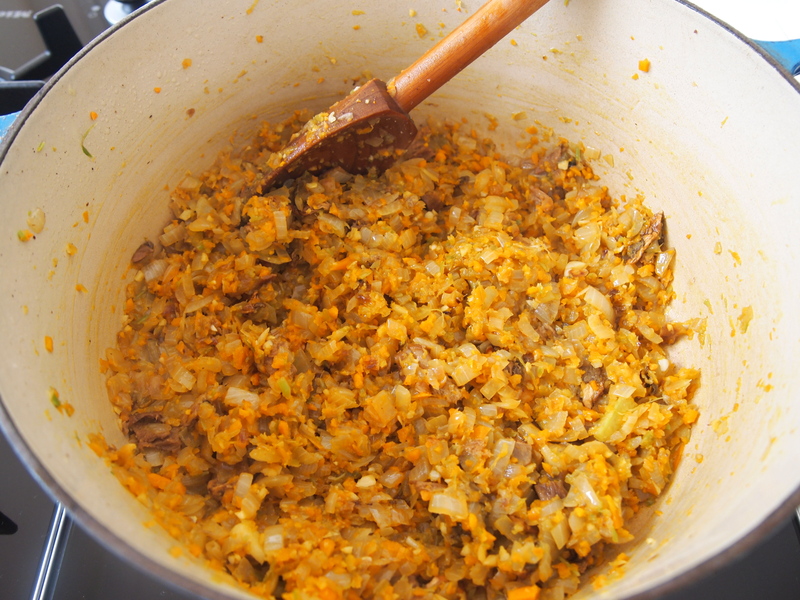 The version we had growing up was made with minced lamb, lots of caramelised onions and laced with a hint of turmeric. Nonnas the world over will be throwing their arms up in dismay that anyone could consider this a version of a ragu bolognese. But that’s the beauty of this dish – the traditional recipe has been reinvented so many times that people feel very comfortable adding, changing and adjusting it at will; and in cooking that can never be a bad thing. I now find my mother’s version of bolognese far too sweet and to be honest I think she’s upped the amount of sugar over the years to make it extra enticing for her grandchildren but it’s too much for me. 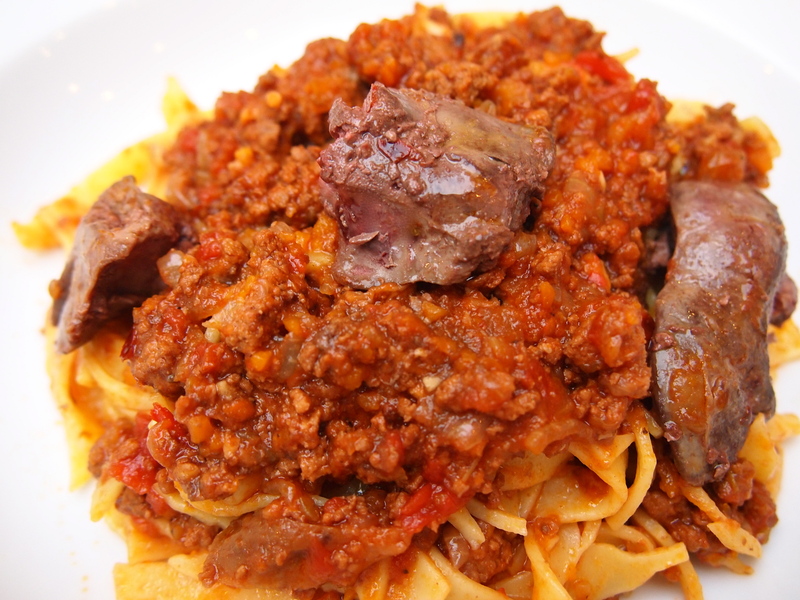 I’ve tried dozens of different methods and techniques to create the perfect bolognese; everything from adding pancetta, to livers, to milk, fresh tomatoes, tinned tomatoes and even no tomatoes for a bolognese bianco. 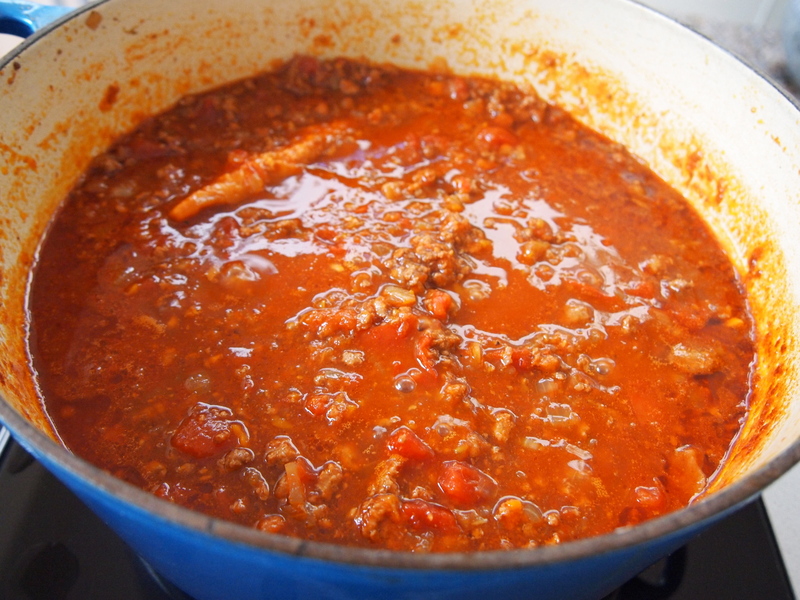 The recipe below is the result of all my experimentation and to me is the ultimate, tastiest and richest ragu bolognese. I think the the main tip in this recipe is to brown your meat first. The caramelisation that you can achieve by browning the meat on it’s own leads to a far superior flavour than adding it the softened vegetables, which is normally the case. The addition of porcini mushrooms adds an earthy richness to the sauce as does the red wine. I also think using a variety of different meats makes a big difference in texture and mouthfeel. I prefer a very meaty bolognese so the ratio of meat to tomatoes is quite high. Lastly, this is not a meal that can be cooked quickly. It needs time to simmer slowly, for at least a few hours, so the sauce has time to reduce, thicken and intensify in flavour. Finally, and please don’t judge me, I sometimes like to flash fry some chicken livers and place them on top of the pasta and sauce just before serving. 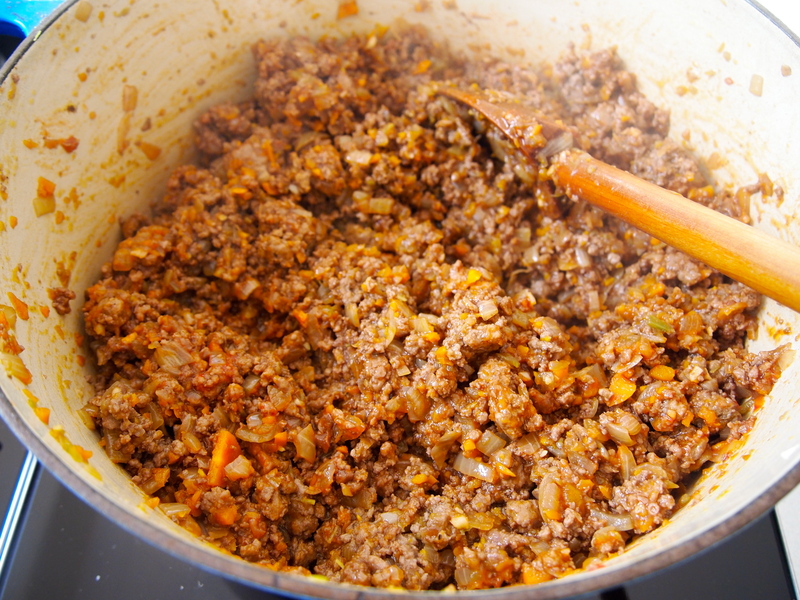 Trust me it takes ragu alla bolognese to another level entirely! Heat a few tablespoons of oil in large, heavy based saucepan. 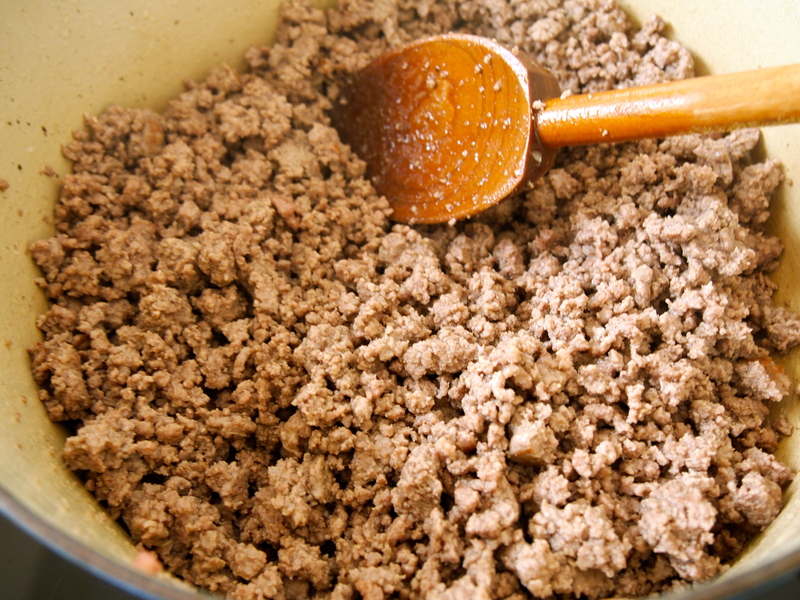 When hot add the minced meat, crumbling it in as you add it and cook stirring and breaking up the meat until it is well browned. Season well with salt and remove with a slotted spoon and set aside. Add a few more tablespoons of oil to the same pan and add the onions and a pinch of salt. Cook for about 8-10 minutes over medium-low heat until the onions are soft and starting to brown. Add the carrots, celery and garlic and cook for a further 10-12 minutes or until all the vegetables are completely softened. Add porcini and mix well. Return the meat to the pan and stir to incorporate with the vegetables. Add the red wine and increase the heat; cook until the red wine has almost all evaporated. Add the tomato paste, tinned tomatoes, parmesan rind and the beef stock – using the beef stock to wash out the cans of tomatoes. Season well with salt and pepper and bring to the boil. Reduce the heat to a simmer and partially cover with a lid and let it cook gently for a good 2-3 hours. The longer the better but ensure that you check and stir often and that your heat is gentle enough to just maintain a slow simmer (you may need to use a simmer mat if your stove is too fierce). After 3 hours check the seasoning and adjust if necessary. Towards the end of the cooking time bring a large pan of salted water to the boil and add your pasta and cook until al dente. Drain the pasta. Add a couple of ladles of sauce to the pan that you cooked the pasta in and add the drained pasta back to the pan along with a good knob of butter. Toss to coat the pasta with the sauce and butter and serve in large plates or bowls and top each plate with another ladle of ragu. 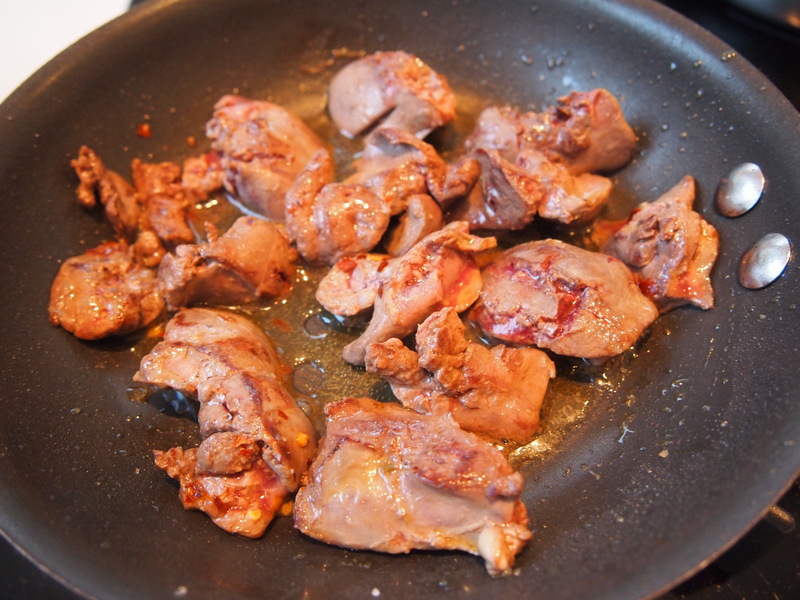 If you want to try it with some chicken livers just quickly flash fry a couple of chicken livers per person and place them on top of the pasta and sauce. Serve straight away with grated parmesan.